Hearing Today for Gitmo Uighurs Seeking Entry to U.S.
Five Chinese Uighur detainees remain at Guantanamo. They have been cleared for release. A hearing will be held today in the D.C. Circuit Court of Appeals over whether they can remain free in the U.S. The case is Kiyemba v. Obama. They can't go back to China where they may be tortured. They don't want to go to Paulau. Why can't they stay here? The trial court judge originally said they could (the ruling is here .) That got appealed and reversed by the D.C. Court of Appeals. The sad saga of the Uighur brothers held at Guantanamo has come to an end. They arrived in Switzerland today. The two Uyghurs were neither charged with any crime nor condemned by the US authorities; today they are free again. They have expressly undertaken to respect the law in force and to learn the language spoken in their place of residence. They are also willing to take up a gainful employment and to provide for their basic needs. Arkin Mahmud, 45 had been accepted months ago, but refused to leave without his brother Bahtiar, 32, who had become mentally ill while at Gitmo. Props to Switzerland for agreeing to take both. Only five Uighurs remain at Gitmo. Switzerland has agreed to take two Uighur brothers from Guantanamo. The Swiss said Wednesday that they will resettle the brothers, Arkin Mahmud and Bahtiyar Mahnut, probably within a month. They are among seven Chinese Muslims, or Uighurs (pronounced WEE'-gurs), who remain at Guantanamo. Just in time to avoid another Supreme Court ruling? The high court has scheduled argument for March 23 to consider whether a federal judge can order their release into the United States over the objection of Congress and the administration when no other nation will take them. The government acknowledges they pose no terror threat, and they can't return to China for fear of persecution or worse. Ahmad Tourson, Adel Noori, and Abdulghappar Abdulrahman arrived to freedom in Palau today, following nearly eight years of unjust and unlawful imprisonment in Guantánamo Bay, Cuba. The men, who are ethnic Uighurs from far-western China, were being held in Guantánamo despite having been cleared for release by the U.S. government years ago. Palau has generously and courageously agreed to provide a temporary home for the three men while the United States continues to search for a country where they can be permanently resettled. The Supreme Court today granted cert in the case of Kiyemba v. Obama, brought by the Chinese Uighurs held at Guantanamo despite being cleared for release. Kiyemba v. Obama is a habeas corpus petition filed in the D.C. District Court on behalf of 17 innocent Uighur men who have been imprisoned in Guantánamo Bay for almost seven years. The government acknowledged as early as 2003 that the imprisoned Uighurs were improperly detained and eligible for release. They remain imprisoned because a transfer to China would be illegal as they would be at grave risk of torture or other forms of persecution; and the US government has both refused to accept the men into the US and been unwilling or unable to find other countries willing to accept them. From Bermuda, the four recently transferred Chinese Uighur Muslims, Abdulla Abdulqadir, Salahidin Abdulahad, Khalil Manut, and Ablikim Turahun, discuss the seven-plus years they spent in the United States' prison at Guantanamo Bay, Cuba. 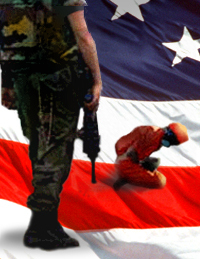 "We'd never heard of al Qaeda until we came to Guantánamo and heard about them from our interrogators. "From what we have heard about them, they are an extremely radical group, with totally different ideals from ours. We are a peace-loving people." The men said for a year of their imprisonment they were held in solitary confinement for 22 hours a day in a cramped cell with no natural light, and were allowed outside for a couple of hours a day in a three-metre by five-metre "recreation area". Good news out of Guantanamo Bay today: Four of the Chinese Uighurs being held there have been moved to Bermuda where they will live and be free. 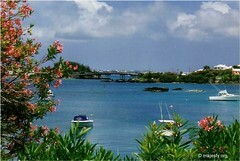 Bermuda's prime minister, Ewart Brown, said the men would be allowed to live in the self-governing British territory, first as refugees. Brown said they would be allowed to pursue citizenship and would have the right to work, travel and "potentially settle elsewhere". Chinese Muslims known as Uighurs, detained for more than six years and counting at the American prison at Guantanamo Bay, are firing back at Newt Gingrich, who has accused them of terrorist ties and says that releasing them into the United States would endanger the country. 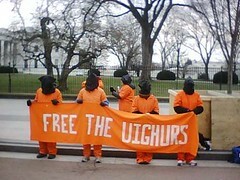 The seventeen Uighurs sent their message to the Huffington Post through their translator, Rushan Abbas, who has been working with them in Guantanamo since 2002, initially contracted by the Department of Defense. Uighur Detainees May Be Released Inside U.S. Via George Stephanopoulos on today's LA Times article reporting up to seven of the Uighur detainees at Guantanamo may be released into the U.S.
Hill sources tell me that Congressional leaders were told today that Guantanamo detainees from China - the Uighurs - are likely to soon be released into the United States, most likely to the Virginia suburbs. These notifications follow this front page story today in the Los Angeles Times. Stephanopoulos quotes Penatagon sources as saying it's not a done deal, just a "toe in the water." Our prior coverage of the Uighurs is assembled here. 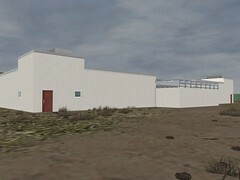 As for the remaining detainees, a jail in Montana is considering making an offer to house them. The effort has received approval from the City Council. D.C. Appeals Court Rules Against Releasing Guantanamo Detainees to U.S.
Bump and Update: News analysis is beginning to come in. Check back for the ACLU and CCR reaction. I'll post as soon as I receive them. The question is whether, as the district court ruled, petitioners are entitled to an order requiring the government to bring them to the United States and release them here. The government has been trying to find new homes for the Uighurs for years. It no longer considers them enemy combatants and provided no evidence in court that they posed a security risk. The men cannot be returned to their homeland because they face the prospect of being tortured and killed. China considers the men terrorists. Federal Judge Orders Release of Uighur Detainees Into U.S.
On Sunday I wrote a long post on the plight of the Uighur Chinese Muslim detainees at Guantanamo and the court hearing that would be held today. The Center for Constitutional Rights and the ACLU reports (link will be available here) the Judge did in fact order their release into the U.S.
U.S. District Judge Ricardo M. Urbina in Washington, D.C. rejected the Bush administration’s position of indefinitely holding the detainees, known as Uighurs, since they are not considered enemy combatants. The Uighurs have been held in Guantánamo for seven years. 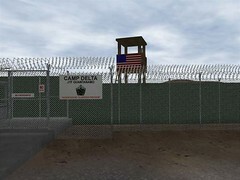 In June, the Supreme Court ruled that the detainees at Guantanamo have the right to challenge their detention as enemy combatants and to have their challenges heard quickly. Also in June, the D.C. Circuit Court of Appeals ruled that Huzaifa Parhat, one of the Uighur Chinese Muslims held at Gitmo, was not an enemy combatant and therefore entitled to seek his freedom. Four months later, The New York Times reports, no hearings have been held. The Bush Administration now argues that the judiciary cannot order the release of detainees because only military officials have the authority to end wartime detentions. One of my clients is Huzaifa Parhat. He’s never been charged with anything. He never will be. In fact, he’s been cleared for release for years. Two weeks ago he began his seventh year at Guantanamo. ....Huzaifa lives in a place called Camp Six. My information, which dates from March, is that all the Uighurs but one are kept there. The men call it the dungeon above the ground. Each lives alone in an isolation cell. There is no natural light or air. There is no way to tell whether it is day or night. Outside the cell is a noisy bedlam of banging doors and the indistinct shouts of desperate men crouching at door cracks. A mad-house. Inside the cell, nothing. Parhat and the other Uighurs from Western China have been at Gitmo since 2002. In 2004, the Bush Administration acknowledged most were innocent of wrongdoing but insisted that because they could not go back to China without fear of persecution, and since no other country would take them, it had the right to continue to detain them. Parhat was one of the Uighurs that the Pentagon refused to release. Friday, the D.C. Circuit Court of Appeals ruled he is not an enemy combatant and may seek his freedom.